Following the original Nintendo of Europe announcement, Nintendo Australia has now confirmed that Super Mario Kart will also be released on the Aussie Wii U Virtual Console on 28th March. 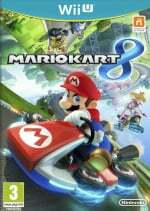 To celebrate the upcoming release of Mario Kart 8 and the VC version of the classic Super Nintendo game that started it all, Nintendo is offering Aussie fans a discount of AU$10.40 (NZD$13.60) on the eShop version of Mario Kart 8 (from 31st May until 30th June), if they purchase Super Mario Kart (available for $10.40) on the same Wii U console. Like in Europe, Aussies will also receive the U.S. version of Super Mario Kart, meaning silky-smooth 60hz. It’s still currently unknown if owners of the Wii Virtual Console version of Super Mario Kart will be eligible for this promotion, if they purchase the classic game at an already reduced price. So Aussies, will you bite and go with this digital promotion? Let us know in the comments. Hmmm, now a digital promotion could get me behind this, though I was going to pass because I already have F-Zero and I cannot see playing another 16-bit racer. Besides I expect to get a substantial discount from GAME - unless those discounts will stack? Mario kart how the hours vanished, bring it on. Though it's essentially giving SNES Mario Kart for free, ugh my brain! @Chunky_Droid your not really essentially getting Snes Mario Kart for free at all when eShop price is more expensive than the physical copy. In most cases you'd be better off buying physical MK8 (or cheaper eShop code if available), download Snes MK which will still be cheaper than what your pay with the promotion. I already own a physical copy of SMK, so I'll pass on this promotion. I've pre-ordered the MK8 mega bundle from the Nintendo Store. Still the best Mario Kart there is. I'm gonna get this , it will be fun , and no self respecting MK fan out there would be seen dead without this !! Cool! That means the us may get it on VC by 2016 or so! NOA... what a bunch of scrubs. Still no Bros 3, and I'm sure we won't get MK anytime soon. The reduced price (AU$69.55) will be almost as good as some of the usual launch sale prices for those interested in going digital on this one. @Joshers744 ,you will get SMK soon probably , when you're done with this Mega Man infatuation the US has . I would love to take part in this deal. Hope it comes to the U.S.. Also want to play some Super Mario Bros. 3. Looks like NA will have to wait many months to get it like SMB3. I bought this on the Wii Channel about a week after getting my Wii U and now I will finally get to master this game on the gamepad. I won't hold my breath but I hope club Nintendo makes a new Wii U retro controller like the SNES one for Wii. @Ninhau I pawned my SMK for Street Racer (the 4-player MK clone) in about '94. Took me years to be able to replace it. The combo deal discount is a nice bonus as I will def be getting Super Mario Kart again and although I always buy the physical WiiU game rather than the digital version I will be downloading MK8 in addition to my blue shell ed preorder as I will not be able to wait until the shops open on launch morning! I need to run down a Mario Kart cart for my SNES. Yay! I was gonna buy the cartridge from Gametraders for like 50 bucks with a barely visible label but stuff that! I'll just get the eshop version but physical all the way for MK8!